Carbohydrates, the ultimate energy source of our body isn’t too hard to come by. It’s in almost everything that you eat – pasta, rice, bread – you can easily absorb carbohydrates from many food sources. Carbohydrates play an important role in your workouts. Without enough carbs, a person would likely feel sluggish and tired midway through sets and set recovery isn’t as fast as how you want it to be – that’s where Pure Karbolyn comes in. 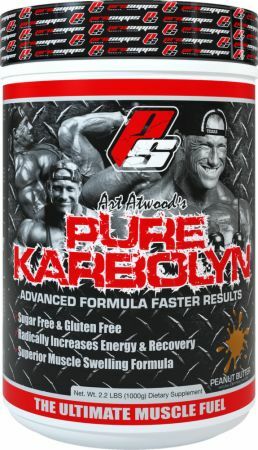 Pure Karbolyn is a formulated carbohydrate source that promises to improve performance, stamina, and pump all in one go. Normally, the carbohydrates in your diet and in some cases, your protein shake, would be enough to power your workouts. However, if you go to another level of intensity in your workouts, the carbohydrate levels that you are used to might not be enough. 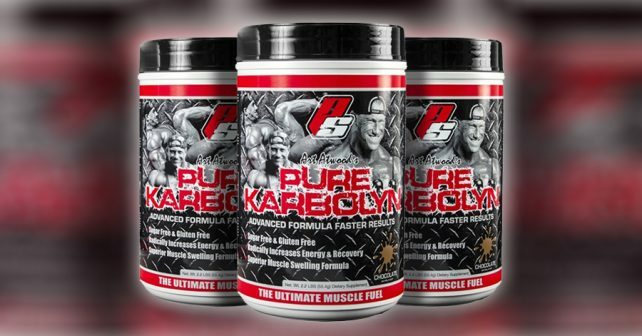 Pure Karbolyn works by making carbohydrates easily absorbed by your body to power your workouts. Unlike other carbohydrate sources like malto, dextrose and pasta, Pure Karbolyn is derived from potatoes, rice, and corn. This improves the absorption rate of carbohydrates by as much as 80%, which greatly contributes to the user’s energy levels while working out. Pure Karbolyn is a must-have for anyone who does high-intensity interval training, or HIIT. The endurance and performance boost you get from ample carbs is necessary to reduce workout fatigue and set recovery. Pure Karbolyn can be stacked with any bodybuilding supplement, but people with diabetes are recommended to seek the advice of their physician. Carbohydrates is as straightforward as it gets – users get more energy to power through their workouts. Pure Karbolyn gets the job done to improve your performance. People on high-carb diets could have better food choices by replacing their mandatory carbohydrate intake with Pure Karbolyn as an intra-workout body battery, which enables them to enjoy the same benefits of carbohydrates without feeling bloated or full as with the effects of other carbohydrate supplements. As a bonus, Pure Karbolyn also improves muscle pump by acting as a natural water carrier that helps transport water and nutrients along with it to your muscles. This works great with nitric oxide boosters to greatly improve muscle strength, recovery, and pump. Supplements like NitroGenix 365 works in synergy with an effective carbohydrate supplement such as Pure Karbolyn to improve performance and muscle growth.